Photo of: East Coast of Ireland: Meath: Boyne. A photograph of the Boyne River at Ardmulchan, between Stachallan and Navan. The ruins of Dunmoe Castle are to the right background. 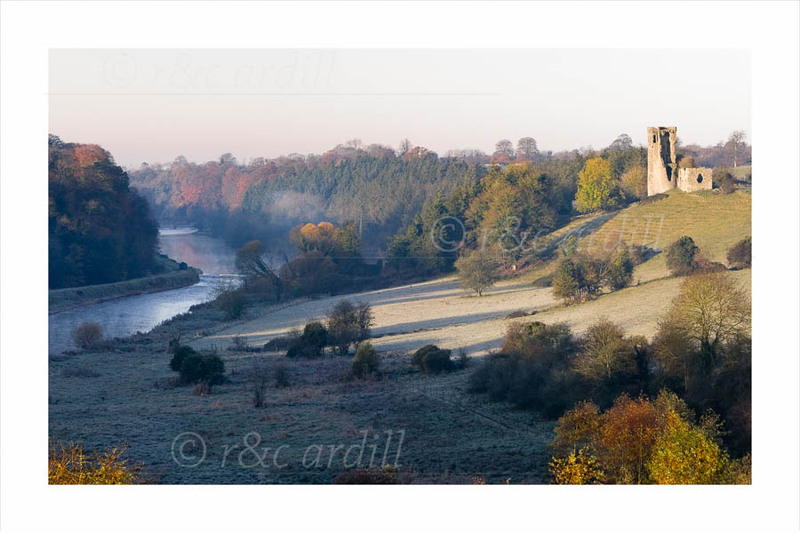 The scene was taken in the early morning and the grass is still frosty up to the slope in front of the castle.